← Sunday School, P.14, Tzitziot & Who is the Savior? 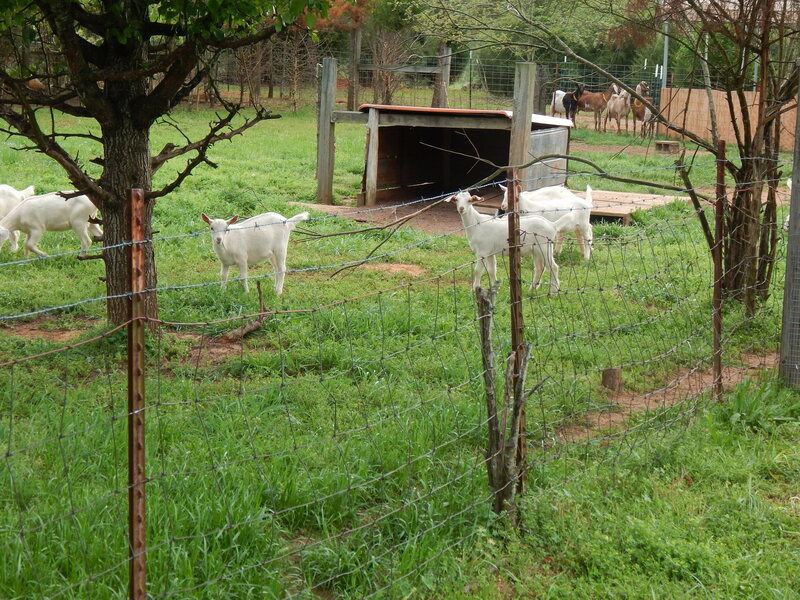 When we were living in Winnsboro a couple years ago, we had developed the 1.5 acres into a small homestead, but pined for more property to really have a nice size garden and more grazing area for our goats. 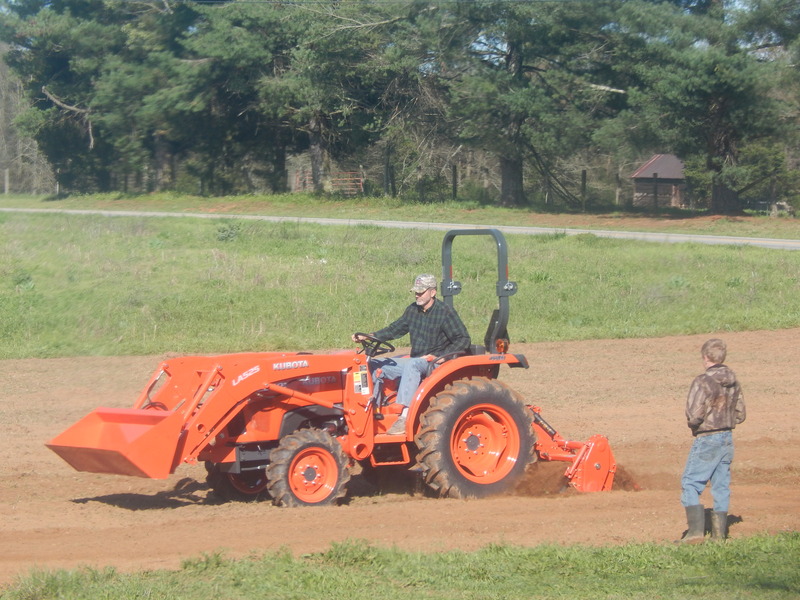 Now that we are in a new place with 4.5 acres, we are slowly ‘beating’ it into shape. 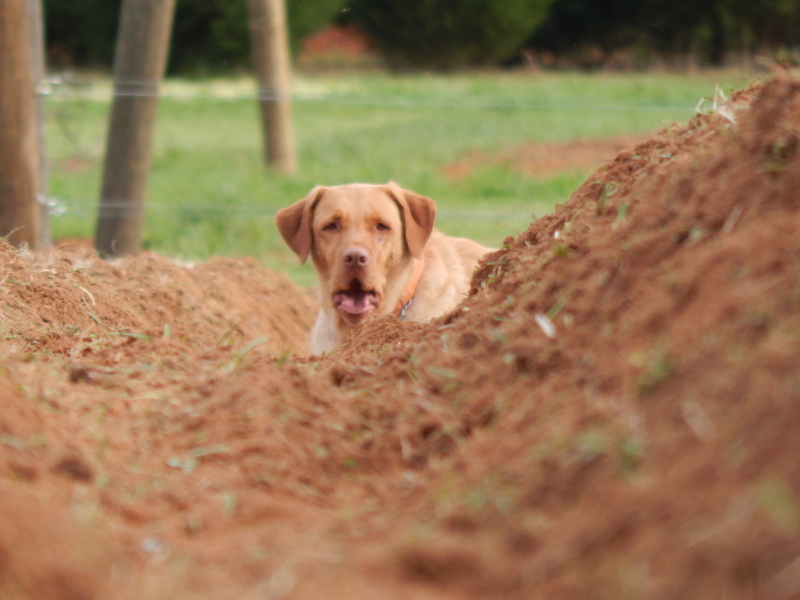 Each month, as we have a little extra funds, we add fencing and other items… Here are a few photos with comments. Tractor and tiller is the ‘bomb’ for laying in a very large garden. The boys are planning a produce and boiled peanut stand on the road we are on. 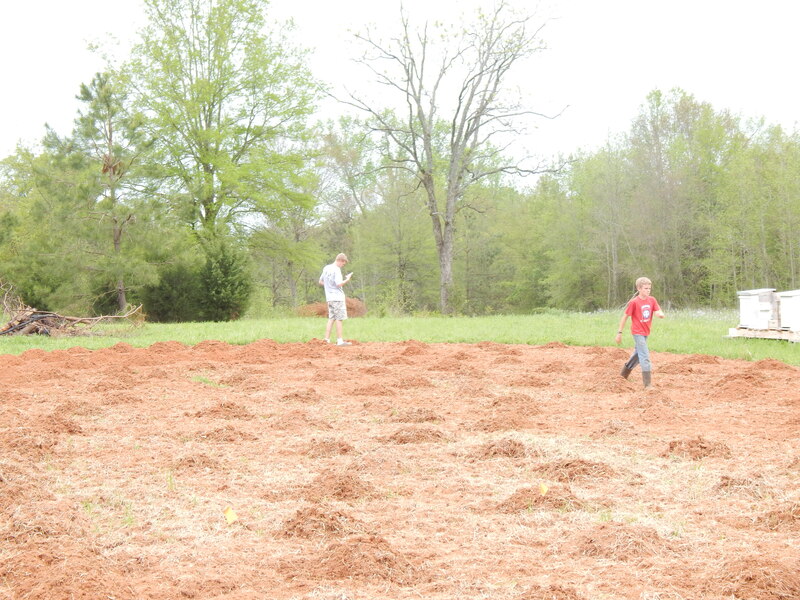 So, we’ve laid in about half an acre of tilled space. Broiler chicks in a small holding pen under the heat lamp… As soon as they are bigger, we hope to have the small orchard fenced in so we can free range them for healthier, quality meat birds. 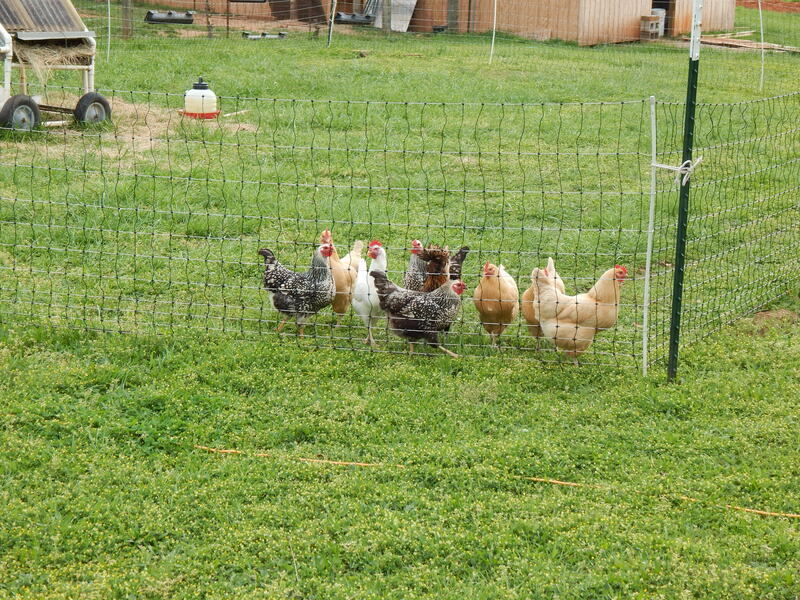 Layers are doing well in a moveable electric netting fence. Because they graze/free range, the yolks are almost orange. Very tasty eggs. Mostly Buff Orpingtons and Astrolopes, but a Golden Polish graces the flock… a freebie from Murray McMurray Hatchery. This year’s kidding… They are really growing. Weaned them this week. Will integrate into the flock in a month or so, after selling the little boys. 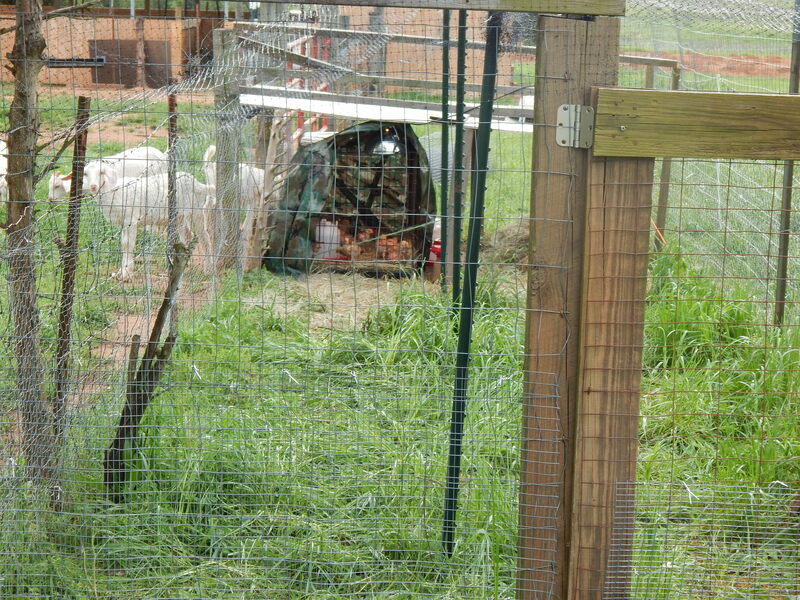 This entry was posted in On the Farm and tagged chickens, garden, goats, homestead, nubian, small farm. Bookmark the permalink. Wow! You are really going to town. Looks good. My husband usually plants a robust garden, but another couple at our Torah study are ‘resting’ their land this year, as it is a Shemitah year. We were going to follow suit. I will readily admit, as we are only two years Torah pursuant I’m new to this… what is your view regarding following the 7 year sabbath for the land? I’m a bit torn, but trust the Messiah will lead clearly at the time we are called to this particular mitzvot. She is doing great!! She and Inga have their moments, but for the most part, they get along very well. Maggie can guard the food and water bowls, though. It is kinda funny! Awesome! I’m jealous of all the land you have! 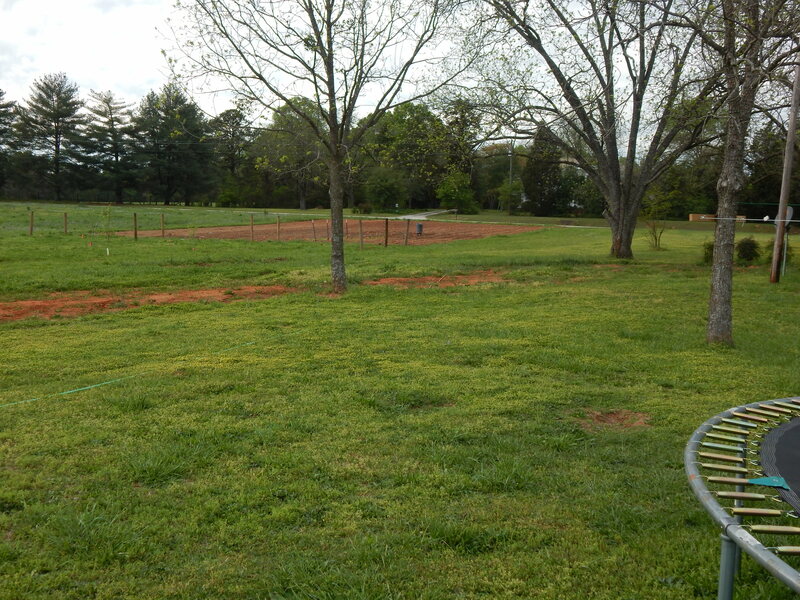 However, I do pretty well for having a third-acre plot in a neighborhood. 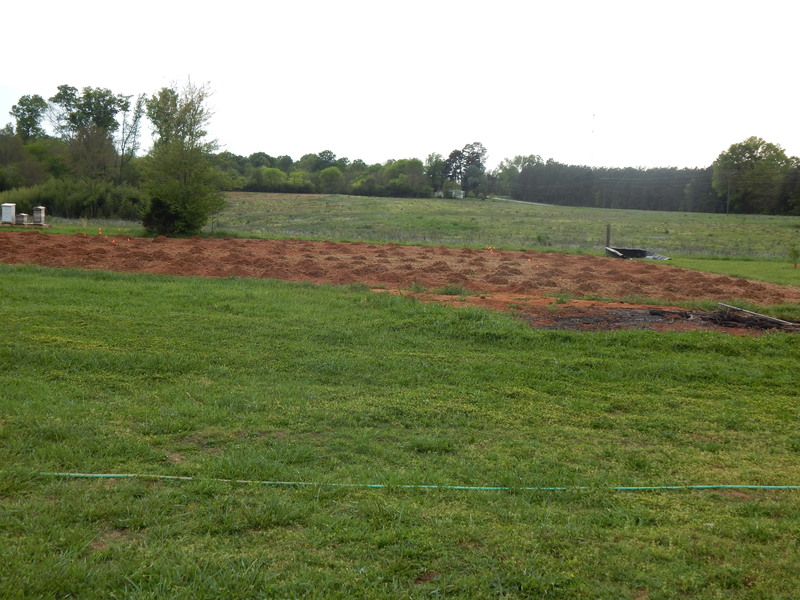 With working full time, my 21 raised beds and 6 fruit trees/3 grape vines are more than enough to handle! However, when the Lord allows me to retire, I’ll be getting chickens (for those wonderful orange-yolk eggs) and expanding the “orchard” and garden. Oh, and spending more time writing. Ah…retirement – to make my living the way I really want to. 🙂 Keep the pictures coming. I love them! That Shemita question is a good one, but everything I see in scripture indicates that the purpose of the Shemita is to acknowledge and maintain the holiness (set-apartness) of the THE Land, The Holy Land of Israel. Although it is personally meaningful to acknowledge the Shemita even in our own far-away land of the USA, it is very exciting to see that many in Ha Eretz (The Land, i.e. Israel) are taking the Shemita seriously, even if they are not certain of the correct year. May Abba be honored in His Holy Land! Your place is looking great!!! Congratulations!! !